The Prince George Fibre Arts Guild (formerly known as the Prince George Weavers and Spinners Guild) is pleased to host the 2019 ANWG Conference here in Prince George, BC the week of June 11-16, 2019. We chose the theme Confluences for several reasons. Prince George is located on the confluence of the Fraser and Nechako rivers and the intersection of Highways 97 and 16. Our community is ethnically diverse with many cultures, which is reflected in our arts and food. We are a small community of approximately 75,000 in almost the centre of the province. We are surrounded with lakes, rivers, hiking trails and easy access to mountains. The Ancient Forest is a rare inland rain forest with cedars that are thought to be up to 1000 years old, our newest provincial park and easy driving distance from town. There are many hiking trails for those who like to get out into nature. Most fibre artists work in more than one category – spinners knit, weavers spin, knitters felt. Many of our Guild members do needle crafts and quilt. We therefore encourage participants in our conference to explore the confluence of working with more than one fibre craft or join with others to create something that reflects our diversity of skills and knowledge as well as our encouragement and support of all who work in the fibre arts. The conference will take place at the Civic Centre, the Coast Inn of the North, and the Marriott Courtyard. The hotels are all within a one block walk of the Civic Centre. We also have the public library and art gallery involved, both on the same plaza as the Civic Centre. 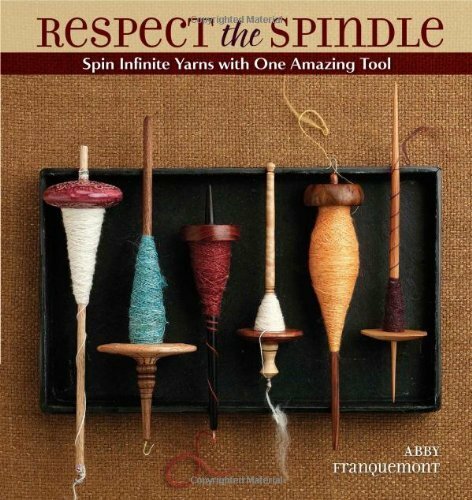 Our keynote speaker is Abby Franquemont, author of Respect the Spindle and well known in the spinning and weaving world for her knowledge of Peruvian textiles. She was raised by anthropologists spending much of her childhood in Peru living in a town, raised alongside the local children. Her experiences in the confluence of Peruvian and North American cultures will lend a unique perspective and enhance our theme of Confluences. Looking forward to seeing everyone in June 2019! We chose the theme Confluences for several reasons. Most fibre artists work in more than one category – spinners knit, weavers spin, knitters felt. Many of our guild members do needle crafts and quilt. We therefore encourage participants in our conference to explore the confluence of working with more than one fibre craft or join with others to create something that reflects our diversity of skills and knowledge as well as our encouragement and support of all who work in the fibre arts. Registration begins again April 17th. We are pleased to announce our Final Schedule and to showcase all the talent and expertise that will be coming to Prince George next June. If you're interested in learning more about a particular workshop or seminar, simply click on the highlighted title for more information. The Pre-Conference Workshops will be held from June 12th -13th. The Conference will be held from June 14th - 15th. The Conference includes up to three seminars, and all conference events. No additional tickets for conference events are being sold at this time. Online Registration begins Sunday, January 27th at 9:00am PST. *You will register for the specific workshop and/or seminars during checkout* There is a time limit of 15 minutes to register. Conference attendees can receive a special hotel discount staying at the brand new Courtyard Marriott (room block full) or the Coast Inn of the North ($121 - $176). The Coast Inn of the North will have exhibits and where some of the workshops and seminars will be happening, while the Courtyard Marriott will have other events. Both hotels are also in within one block of all Conference events. Air Canada is the official airline for our event. To book a flight with your promotion code, access aircanada.com and enter your promotion code 7NPDTWE1 in the search panel. Customers will benefit from an instant online registration and enjoy a ten per cent discount on eligible fares. · The travel period begins Tuesday, June 04, 2019 and ends Sunday, June 23, 2019. · Travel is valid Monday, Tuesday, Wednesday, Thursday, Friday, Saturday, Sunday. · No discount will apply to Tango bookings for travel within Canada or between Canada and the U.S. For International travel (destinations outside North America), discounts apply to all fares including Tango. WestJet is offering 5% off Econo* and 10% off EconoFlex and Premium fares for travel within Canada and 2% off Econo*, 5% off EconoFlex and 10% off Premium base fares for guests travelling Trans-border into and out of Prince George. To take advantage of this offer, you will need the discount code listed. Please visit www.westjet.com/conventions to make a booking online. Early bird registration ended this evening, but it's not over! There will be a short delay while the 'late' registration gets set up. While a few seminars are full, most of them still have seats available so if you missed early bird, don't despair! You can still come. In fact, we would be delighted to have you. And now the committee gets down to the nitty gritty of making sure everything is in order for when everyone arrives. We are having a party - a fibre party - and we can hardly wait to see y'all! A conference is all about celebrating - the talents of everyone, the inspiration, the creativity, but above all...the textiles. We have gathered a group of very knowledgeable and talented instructors who are ready, willing and eager to pass their knowledge on to those who want to learn. In the 21st century it is now possible to take classes on line (we have some of those on line instructors in our line up! ), by reading (we have authors! ), by participating in on line discussion/interest groups (we have some of those!) but best of all? Is learning in real life. Organizing a conference is a lot like designing a textile. Details, details, details need to be organized. That kind of organization takes time so our early bird deadline will allow us to take the information on class sizes, entry forms for exhibits, and room requirements and begin to sort out the details of the equipment, audio visual aids, room sizes, and scheduling and make sure there is going to be ample time for everyone to have a great time. Of course we will accept more registrations after the April 15 early bird deadline, but those will be welcome additions to our event. We just have to start somewhere. Spring is well on the way here and we are looking forward to the arrival of a group of enthusiastic fibre folk to enjoy our little town and delve into aspects of the textile world that excite them. The conference is just about at the summer turn of the sun so participants will be able to enjoy our long daylight summer solstice days. Sunrise is around 4 am and sunset at 10 pm or so in mid-June. We are coming down to the wire. Early bird registration ends on April 15. At this time we will be turning the class lists over to the instructors and those who need to send out class materials will be contacting their students. While we will continue to accept registrations at the After Early Bird Pricing until workshops are full, it is most helpful to instructors to have a way to get instructions and/or materials to their students to them early enough that they can arrive prepared. Jane Stafford and Robyn Spady were gracious enough to add a few more seats to their workshops so there is still space if you were longing to connect with either of them. At this time all workshops still have space although some are getting very nearly full (Spady, Stafford and Wroot, in particular). When you go to the registration site, open a cart and drop down menus will appear. Anything that is full will be greyed out. As a conference registrant, you may sign up for three seminar time slots. You will also be eligible for the many sponsored awards for the exhibits/fashion show. (Entry forms on the website - click on link above.) You will be able to attend special interest meetings (times/places will be posted in the registration/check in area in the Civic Centre). You will get a seat at the keynote address (Abby Franquemont) and the fashion show. There will be opportunity to socialize, shop and visit the exhibits. There will be time for inspiration and communication with others as fascinated by the textile arts as you are. As far as I know, Prince George is the farthest north ANWG conferences have been held. If you are from the north, now is your chance to hop in your car and have a fibre adventure. Bring your fibre besties. It's gonna be a time! Wow - this year is just zooming by! With the deadline to enter exhibits looming, we just know there are people who have not quite got their project done and are thinking of giving up on entering. We will extend the deadline to April 15! We invite people to head on over to the conference website and fill in an entry form - or three - for the open exhibits and also the fashion show (you must provide a model). The only way to be eligible for the numerous sponsored awards is to be registered for the conference, so if you haven't registered yet, it's time. April 15 is also the end of Early Bird registration. After that the price will rise. We will post a list of the sponsored awards soon and you can see just how many there are, and who has been generous in providing them. Michelle will present a two day workshop called Four Fibres, Four Fine Yarns: Materials Fee: $45Learn to spin lace weight and cobweb yarns like a boss, no matter what the fibre! We’ll start with 4 fine fibres- Polwarth, alpaca, silk, cashmere – in 4 preparations. Then we’ll spin them using 4 different drafting methods to make 4 very luxurious fine yarns. We will explore spinning wheel set-up for spinning fine yarns and how to choose the best fibre preparation for the yarn we want. Once our singles are spun, we will look at different ways to ply and finish the yarns to bring out the very best of each fibre’s characteristics. Her seminars will look at How Much to Ply, and Why, Up to Batt, and Spinning Out of Control. We are excited about Tien's workshop and seminars at the conference. Tien has been investigating how colour works within the woven web and recently launched her on line course. The conference is an opportunity to learn from her in person. There are still a few seats left in her workshop, one of her seminars is full, but there are a few more seats left in her other seminar. "Syne Mitchell has been a storyteller since she was three and started writing fiction in second grade. She grew up reading science-fiction and fantasy and it was with great honor and delight that her first professional fiction sale was the story “Tiger’s Eye” to Marion Zimmer Bradley for the Sword & Sorceress anthology #9. An early entrant into college, Syne graduated with a degree in Business Administration at the age of 15, and went on to study physical oceanography and nuclear physics, ultimately graduating with a Master’s degree in solid-state physics. Although she’d completed the course work for a Phd, Syne decided that her true passion was writing and stepped away from science to pursue that dream. Like many writers, Syne’s had an eclectic career. Highlights include selling beads at a jewelry shop, teaching high-school physics, writing developer documentation for various high-profile tech companies, publishing a weaving magazine and podcast, and currently working as a product manager at Google. Along the way, she published five novels, a non-fiction book on weaving, and numerous articles and short stories. When not working or writing, Syne spends time with her family, chases the cat around the house, gardens, weaves, and takes classes in anything she doesn’t already know how to do." I have known Syne for a few years now, first as a member of the Seattle Weavers Guild, then as the energy behind WeaveCast and WeaveZine. Syne is a welcome addition to our roster bringing an eclectic mix of topics to our workshop and seminars. There are still some seats left in her workshop and seminars but they may not last much longer! Dyes from natural dye stuff don't have to be drab! None of the above workshops require any previous knowledge or experience. All will expand your knowledge and give you a taste of what is involved in these textile arts. All are two day workshops that will provide a gentle introduction into these topics. Wow - how did it get to be March 21st already???? Just a friendly reminder that entry deadlines are most definitely looming - April 1 - no fooling! People have been incredibly generous in sponsoring awards - we have lots and lots of cash awards just waiting for people to send in their entry forms, then bring their items to the conference for jurying. Why do we need to know what is coming? For the fashion show we need time to write up the commentary and get programs printed. For the exhibits we need to have some idea of what is coming so that we can try to find appropriate display apparatus. Fluff and Stuff there will be fibre available to spin and to knit with the end product being a 15 cm or 6 inch knitted square. The squares will be donated to our local Cancer Agency Center of the North to be sewn together as lap blankets for patients to use while receiving treatment. So bring your patterns and knitting needles, some needles will be available. If you wish to donate a knitted square or two you have already completed they can be dropped off while registering. Thank you for supporting our local Cancer Agency. When two workshops filled, we approached the instructors and asked if they would take a few more people. They both said yes, if the room would be big enough to hold more. It took a bit of juggling but we have moved some people around, allowing for more in the two 'full' workshops (and one seminar!) and people can now register for Jane Stafford's workshop on Huck, and/or her two part seminar Introduction to Units or Robyn Spady's workshop Extreme Warp Makeover. Go to the conference website, click on the Register Here button, click on the green Tickets button, open a cart and sign up. It's just that easy. "I came to Canada in the early 1970s with a PhD in Biochemistry and met Ingrid Boesel at McMaster University. She had already been weaving for several years. During a sabbatical year in California, Ingrid started work on the Guild of Canadian Weavers certificate course. I had learned computer programming in order to connect lab instruments with computers, and so the first “baby” Fiberworks (software for weaving design) came into being to assist her studies. After Convergence 1986 in Toronto, I surveyed the weaving software on offer and we thought that we could do better. A year later Fiberworks for MS-DOS was released for sale. Ingrid’s studies continued with the Ontario Handweavers and Spinners Master Weaver program, with Fiberworks gaining abilities to keep up with her needs. Ingrid continued to build up a reputation in weaving, with innovations in tied weaves, advancing twills, network drafting, and four-colour double weave. Our collaboration added many new features to Fiberworks. More than features, Ingrid’s guidance also helped Fiberworks remain weaver-friendly, and ensured that it approached design from a weaver’s point of view. fiberworks-pcw.com"
There are still seats in Bob's workshop and seminars. When I purchased my first weaving software, I chose Fiberworks because at the time it was the only one that displayed graphics that looked like a weaving draft. Since then the program has become more robust, offering design tools that make designing easier. The above motif was designed shortly after my brother died from a massive cardiac event and I was diagnosed with cardiac blockages. Janet learned to weave at the Cape Breton Centre for Craft and Design in 1994 and taught the weaving program there from 2000 to 2009. She teaches across the US and Canada and has almost 8000 (latest figure) students in her Floor Loom Weaving class at Craftsy.com. In addition to her own weaving business, The Weaver’s Palette, Janet owns The Bobbin Tree, a store catering to weavers, spinners, knitters and felters. Janet’s focus has swung from complex weaves to simple cloth and back again over the years. Her current passion is for teaching the mechanics of cloth: understanding and communicating the actual structure of weaving structures. She has a rare knack for communicating complex ideas in ways that are easy to comprehend, and her favourite thing is witnessing that moment of understanding when things click for students for the first time. While Janet is, perhaps, best known for her weaving class on Craftsy, she is also a weaver who constantly asks, what if? What if I do this? Or that? What happens when I change this? That? Her workshop Gamptastic will explore the possibilities in the form of gamps. Gamps are a super-charged way of exploring lots of options in a smaller format than dressing the loom with just one threading. Gamps are most often seen in the form of colour gamps (as above) but can also be used to explore variations in other threadings such as twill, lace weaves and overshot. There are still seats available in Janet's workshop, or join her in her seminars, exploring the technology of the 21st century to aid in a centuries old craft, or how to painlessly dress a loom. "While my formal introduction to weaving was through a night school class in the early 1970s, my connection to handmade cloth began much earlier. One Christmas in the late 1950s I was given a little rigid heddle loom. Between then and now, I’ve expanded on those early lessons by taking workshops at both guild and conference levels, and by exploring interesting techniques at home. Many of those projects incorporate picked-up designs, some woven on inkle looms and others on 4 shafts. I also play with kumihimo and paper weaving, and enjoy sharing what I discover through classes and demonstrations. Away from the studio, I’m constantly inspired by what I see during morning walks in the seaside neighbourhood in which I live — my camera, as always, slung over my shoulder!" Make your overshot runners or cushions more festive by scattering ‘frosted flakes’ over the fabric. This is accomplished by isolating parts of the design to create snowflake-like motifs. By following different treadling sequences, such as undulating twill, tromp-as-writ and as-drawn-in, each inlaid ‘snowflake’ will be as individual as the real thing… the woven version is certainly more permanent. If you don’t often use threads that glisten, this class is proof that a little sparkle can be a good thing! Students will bring warped 4-shaft looms. The overshot threading draft will be supplied at least one month prior to the workshop (warp - 4/8 cotton in one or two colours; weft - 2/8 cotton). Please bring additional weft yarns in glittery threads. Two shuttles with bobbins and thread scissors are also needed. This class is suitable for intermediate weavers. Laurie Steffler is an accomplished Canadian textile artist, felt fashion designer, and instructor whose passion for texture, colour layering, dyeing, resists, new felting innovations and the sculptural possibilities in felt replaced her paint palette in 1986. She loves to work with merino wool, silk fabrics, exotic fibres, dyes, and her own prefelts. Every year she designs a new felt fashion line of hats, scarves, and garments as well as carrying her original favorites for her annual Xmas Craft Show Tour. She travels to teaching engagements and holds her Annual Summer Felt Retreat on Salt Spring Island, BC. Her students appreciate her 30 years of extensive felting knowledge and the stories she shares through that experience. She uses many tricks to make felting an easier and quicker process so that her students have lots of design time and their work is completed in class. Visit her online at saltspringfiberadventures.com. Laurie is well known in western Canada for her Nuno felting. She routinely presents her textiles for sale at craft fairs. If you have always wanted to learn more about felting generally and Nuno felting (applying wool to a silk foundation) in particular, this two day workshop is for you. Her seminars will look at specific effects: Felted Lace, Felted Cord for Embellishment, Sculptural Felt. Classes are small and hand's on. Not all of the workshops require prior knowledge or expertise. For example the Shibori workshop with Bernadette Thompson welcomes everyone. I was surrounded by textiles in my youth. My Grandmother always inspired me with her amazing embroidery and dressmaking skills. My Mother carried on that tradition with her seamstress talent and I wore many a unique outfit in my youth and adolescence. That history and those fond memories inspired me to carry on the mantle and sew clothes for my children. Most recently I learned to make figure skating costumes for my youngest. It also inspired me to achieve my Bachelor of Fine Arts from the Alberta College of Art and Design with a major in Fibre Arts. I am fascinated with the art of everyday life. The art that we live in, wear, touch, feel. The art that is often overlooked. I have been very inspired by a dye technique called Shibori. This technique originating in Japan allows me to take plain fabric and turn it into something unique. I have been privileged to also teach others in my community this dye technique. I find joy in creating for the simple act of creating and think that’s a wonderful thing. Mary’s love affair with fiber started with knitting needles, a crochet hook and yarn when she was 13. She started spinning and weaving when living in Nova Scotia in the 1980s. Raising angora rabbits led to a desire to spin all the fibers. She founded the spinning guild in Memphis TN in 1997, giving programs about sheep, the spectrum of cellulose and protein fibers, dyes and dyeing and designing yarns. She teaches and demonstrates spinning and natural dyeing in the United States and Canada. She has both levels of the Canadian Wool Judging Certification and earned her Master Spinner Certificate from Olds College, Alberta, Canada. Her monograph is Exploration of Cabled Yarns. She spins and weaves daily and has taken up quilting using handwoven cloth and handspun yarns. Mary will be exploring dyes from nature as her two day pre-conference workshop, will talk about the Olds College Master Spinner program, and will share her expertise in choosing a fleece and making cabled yarns in her seminars. PRINCE GEORGE, B.C. – The Prince George Fibre Arts Guild will be hosting upwards of 400 artists from Western Canada and the USA in a five-day event running June 11th thru 16th 2019. The themed title of the event is “Confluences” which references the geographical and cultural influences of the meeting of two major bodies of water in Prince George, the Fraser and Nechako Rivers. The event is organized under the auspices of the Association of Northwest Weavers’ Guilds Conference, and the 2019 conference is the second time this Canadian city has been selected to host the event in the past twenty years. The conference will be rich with activities for fibre artists and the general public and will include workshops and seminars on weaving, spinning, felting, knitting, dyeing, design, Shibori, fibre preparation and much more. Other events during the conference will include a vendor hall, exhibits and awards, fashion show, guild booths, author signing, tea towel exchange, door prizes, fluff and stuff, spin-ins, and knitting circles. The conference will take place in a range of facilities in downtown Prince George, all within a short walking distance from one another, including the Prince George Civic Centre, the Prince George Public Library, the Two Rivers Art Gallery, the Coast Inn of the North, and the Marriott Courtyard. Registration is now open and information and participant costs as well as application forms are available online at anwgconference2019.com. For more information please contact Birthe Miller at 1-250-964-6454 or info@anwgconference2019.com. Someone posted this chart to Facebook (no designer was listed that I could find) and I think it shows clearly the path to learning if we just take courage and break out of our comfort zone. The day before someone (I forget who, it might have been Neil Gaiman) talked about being seated next to an astronaut on a long plane ride. He noticed that the astronaut was reading a book on Portuguese art. Intrigued, he asked why the astronaut was reading a book on that topic and the response? "Because I don't know anything about Portuguese art." At conferences (or other learning opportunities) it is sometimes helpful to take seminars you know nothing about. Because when you don't know what you don't know, you don't know that you don't know it. Unless you, like the astronaut, leave yourself open to exploring beyond what you know. Leave yourself open to dabbling in other topics. Even if you decide you aren't interested enough to pursue the topic further, you have increased your general knowledge. What I have found is that those little tidbits of knowledge tend to stick and sometimes - sometimes years later - comes a time when someone is looking for more information on that topic, and that bit burbles to the surface and I can share a potential source for further follow up. When choosing seminar topics for the conference we looked beyond the 'usual' topics instructors were offering. Some of our instructors have breadth as well as depth and some of them will bring information on things that might not, at first glance, be of immediate interest. But you just never know down the line when that information might come in handy. There are many more to choose from. Some seminars are full or nearly full. Time to register for the conference and secure your seat, perhaps in something completely different! Go to the conference website and scroll through the topics. Click on the title which is a live link for the description. Choose titles that sound interesting and make a list. Then click on the Register Here button, click on the Tickets button on the Eventbrite site, open your cart and drop down menus will appear. Each person can choose from three seminar slots. Some of the seminars are two parters - if you register for part II, you must also register for part I. That counts for two seminars. Some topics we have repeated, partly because we thought they might be popular, partly to make choosing topics easier because they appear in more than one time slot. Diana is an experienced fibre arts instructor with a background in adult education and fine art. Passionate about fibre, colour, and texture, she has introduced many beginners to the wonders of making yarn and has helped experienced spinners experiment with technique, colour, and fibre to take their spinning to a new level. In addition to spinning for the last 16 years, she is a self-described “fearless knitter” and is currently working on a variety of projects. Diana has a deep curiosity about how fibres, colours and techniques all work together to make unique yarn, and translates this into accessible, interesting and fun classes. She lives in the countryside outside of Vancouver, BC; grows flax for linen, flowers for her dye pot, and basil and garlic for the best pesto in the valley. Diana has been teaching in western Canada bringing her expertise in carding and spinning to students at various fibre events for some years. Her enthusiasm and knowledge allows students to explore some of the unique ways spinners can bring colour into their yarns. In addition to her two day workshop, she will present seminars with a two part look at creating thick and thin yarns, then knitting with hand spun yarns. This workshop focuses on the almost forgotten art of dressing and spinning from a distaff. The distaff is one of the most useful of spinners tools and deserving of a spot in the modern spinner’s toolbox. Day 1, after you have dressed your distaff with fine dew retted flax, you will learn the finer points required to wet spin line flax. Day 2, after you chose whether you wish to dress your distaff for a woolen or worsted spin, Kim will help you hone your default spinning method while you spin from a handheld distaff which is your to take home. • The processing of flax • The difference between line, tow, wet spun, dew and water retted flax • Various styles of distaves • Drafting techniques used to create woolen vs. worsted yarns • The characteristics and benefits of these yarns • “finishing” methods for linen and wool yarns. Both fibre and distaff will be provided by the instructor. This workshop is suitable for all spinning levels. You must however be able to confidently spin a continuous yarn. • an apron or lap cloth • old dishtowel or small bath towel • a belt or ribbon which can be tied about your waist • heavier, small flat bottomed container to hold water while you wet spin line flax • scissors, one hole punch, pkg index cards, pen and paper for note taking • orifice hook if your wheel uses one • a few bobbins cleared of old projects • Optional: any other spinning equipment you normally like to have on hand, such as a small side table, niddy noddy, lazy kate, etc. • Spinning wheel - freshly maintained and in good working order.This intimate workshop with a maximum of just 10 students will provide lots of feedback and guidance to each participant. so perfectly to create beautiful garments. As a teen, she created custom colour work designs for both knitting and crochet. Inspired by her Scandinavian heritage, Elizabeth began to incorporate traditional fair isle designs with images of the natural world. She used images of landscapes and wildlife from places she’d visited or lived to make intricately designed fair isle toques. Elizabeth also incorporates mosaic knitting and intarsia techniques into her fair isle to produce different effects. She has also been known to incorporate purled stitches for emphasis and occasionally strand her contrasting colour across the front of her work to produce linear design elements that cannot be created with knitted stitches alone. Today, Elizabeth has a hobby of creating custom fair isle toques upon order and sells a few of her published patterns on Ravelry (https://www.ravelry.com/designers/twisted-bark-designs). Elizabeth has been knitting and crocheting for 28 years and counting. She began teaching knitting to her fellow university students in 2007 and continued to run free classes and tutorials for students until 2015. Elizabeth is currently completing her PhD in Geology through the Memorial University of Newfoundland. She and her spouse are now living in North Vancouver, British Columbia, where she teaches beginner and advanced knitting classes at Urban Yarns. When she’s not writing her thesis, Elizabeth also enjoys felting, spinning, sewing, nalbinding, sculpting, drawing, and making Viking knit wire jewelry. Coleen Nimetz holds a Master Spinner Certificate and has been an instructor and technical consultant for the Olds College Master Spinner Programme. Coleen's love of spinning and dyeing, which she teaches throughout North America, has taken her on interesting adventures. Her work as a labourer on a silk farm in northern Laos led her to develop a passion for silk reeling to produce the fine yarns she uses in her knitted lace shawls and miniature cut pile rugs. Coleen’s current focus is reeling filament silk from cocoons and working with various types of silk. Her articles on silk and silk reeling have been published in Spin-Off and Ply magazines and her work has appeared in juried shows across Canada and the United States. Coleen has received numerous national and international awards, including the Saskatchewan Craft Council Award for Excellence in Textiles. Coleen's hand spun, hand knit shawl was one of the show stoppers at the ANWG conference in Victoria, BC in 2017. Her knowledge about and mastery of working with silk is apparent in her work. Her two day pre-conference workshop about silk and seminars during the conference are sure to be packed with information on the diversity of silk fibres and the array of different types of yarn that can be made from them. Bring your hand-woven tea towels for the Tea Towel Exchange. Please label with your name and Guild if you are a member. Drop off your tea towels (limit 5) when you register and receive a ticket for each one received. The Tea Towel Exchange will take place at Saturday 4:15pm in the Civic Centre. Doors open at 4:00pm for viewing. Tea towels in Conference colours will be available at the Registration Area. One of the perqs of attending a conference is the chance to see textiles in real life. You get to see the subtleties of colour and texture the way they really are, not filtered through a camera and monitor. Conferences have traditionally had many opportunities for participants to not just see other people's textiles, but to enter their own into the exhibits. We have space assigned for the instructors to share their work. The Instructors Exhibit will be on display from the opening Thursday evening at the Galleria in the Art Gallery. The fashion show will be a modified 'tea room' presentation with the weaver (or a model of her/his choosing) wearing the garments, then being available once the 'runway' show is over for closer examination on the Saturday evening. The guild booths will, of course, be filled with member work on display at the Coast Inn of the North ballroom. The rest of the exhibits will be at the Courtyard Marriott in that ballroom. The exhibit at the Courtyard, the guild exhibits and the fashion show entries will all be eligible for awards. I have also issued a personal challenge with the theme of Pockets and the 'winner' of that will receive a signed copy of my book. Entries for the general exhibit are to be dropped off at the registration area at the Civic Centre by 4 pm of the Thursday at the very latest. We will be installing that exhibit Thursday evening due to a scheduling blip with the hotel. Deadline for entry is April 1, 2019 (not an April Fool's prank). We need to have some idea of how many entries to expect, the type of display apparatus required (we reserve the right to not display something if we don't have appropriate display apparatus or room) and for me to write the fashion show commentary as well as draw up the sequence. While you don't have to be in attendance to enter, you do have to ensure that someone delivers the item(s) to the registration area by 4 pm on Thursday, and picks up after closing Saturday. We are not accepting mailed or couriered deliveries. Only conference registrants are eligible for the exhibit awards. Early Bird registration continues for the conference. Check out our workshop/seminar topics, choose your favourite, head on over the the registration website by clicking on the Register here button and check for availability. Some of the offerings are either filled or getting full. Americans should bear in mind prices are quoted in Canadian dollars and the exchange rate will reduce that amount. $395 Canadian is around $300 US at this time but subject to change without notice. One of the benefits of attending a conference is that it brings people from a large geographical area all under one roof, so to speak. I've lived in Prince George my entire life so for me, a lengthy journey to get somewhere else was always a given. But just like I can go somewhere else...people can make their way here, too! So we have engaged instructors from BC, Washington, Alberta, California, Ohio, Tennessee and Nova Scotia. Just think if everyone had to go to those last four places to learn from those instructors! How far are we? Depends on how you look at it. We are about 450 miles from Vancouver. A fairly easy day's drive, especially in June with our lovely long daylight hours. On June 11, 2019, the sun will rise at 4:41 and set at 21:40. If people don't want to drive - about 8 hours or so - the flight from Vancouver to Prince George is around one hour. The airport is about a 20 minute shuttle ride from the two conference hotels. Prince George is also about 450 miles from Edmonton. You can fly Air Canada or WestJet, but that means a stop in Vancouver, OR you can fly Central Mountain Air which has direct flights from Edmonton to Prince George. The direct flight is again, about one hour. Prince George to Calgary is also about 480 miles to drive - a drive well worth taking through the Parkway through the Rocky Mountains. You can fly Air Canada or WestJet, but you can also get a flight from Calgary on Central Mountain Air. This flight routes through Edmonton, so the duration is about 3 hours. Seattle is about 600 miles. It's a very long one day drive with minimal stops, or a quick flight from SEA to Vancouver, and then that one hour flight to here. Portland, OR is about 735 miles away. A two day drive or a flight from PDX to Vancouver and then that one hour hop to here. As of this writing, there are flights on June 11 departure to PG, return to PDX on the 17th for $400 Cdn - about $300 US. A conference will allow people from the very large (possibly THE largest) geographical region to come together, put names to faces, shop in person, see textiles in real life and maybe even get to touch some of them. All things that are not possible on the internet - or are much more difficult. A conference is a time to meet and greet, share our unique fibre stories, engage with others who are as entranced by fibres as we are. Travelling to a conference is also a way to expand horizons. I have been told that one registrant is driving from the Yukon, planning on enjoying seeing our country during a nice road trip. Since we are in the more-or-less centre of the province, there are various highways that can be taken. Coming from the lower mainland, you have Hwy 1 to Hwy 97 via the Fraser Canyon, or up through Hwy 5 to Kamloops, then back along 1 to 97, or continue on 5 to 16 and turn west. Once here, you could take 16 out to Prince Rupert, then take the ferry to Vancouver Island and return to the lower mainland from Nanaimo or Victoria. From Edmonton, it's Hwy 16. From northern BC/Yukon, it's 97 south. From the western side of the Cascades, straight up through Seattle and Bellingham to the border, then up Hwy 1 and 97. From the eastern side of the Cascades, up through Osoyoos, the Okanagan, then Hwy 1 and 97. Further east yet? Up through Alberta, then along Hwy 1 or all the way north to 16. There is more and more research that doing crafts, working with your hands, is actually good for you in terms of mental and physical health. The fibre crafts are becoming more popular with growth in knitting, and more recently a re-vitalization of spinning, felting and weaving. Fibre crafts can be practiced one by one or in groups. More and more, knitters and crocheters are gathering, at local yarn stores or friendly book stores, to spend an hour or two in fellowship, sharing their love of all things fibre. Conferences expand that gathering of like minded individuals into an educational experience as well as a social one. We have developed our conference schedule with this opportunity to socialize worked into it. There is ample chance to meet others who are as fascinated with the various aspects of working with fibre and yarn in the small sized seminars, the exhibit halls, and the small geographic area in which the entire event takes place. We have had some inquiries about how to get around - the entire event takes place in a three block by three block area around the Canada Way Plaza. There are seating areas in the plaza as well as in the hotels and Civic Centre. All the buildings are accessible with elevators to the upper floors. Today is Valentine's Day. Show yourself a little self-love and sign up for the conference here. The name tags are here and ready for Your Name to be added! We have colour coded the name tags. The yellow is for the registrants. All name tags will have bright yellow lanyards. No pinning into clothing! Your name tag will get you into the conference events. We are also working with local merchants and there may be perqs in the community as well. There are many restaurants in the downtown area, most within a 5-7 minute stroll of the conference facilities, in addition to the food services at the two hotels. Check the conference website for more information - Prince George - Something for Everyone. Remember to check the workshop and seminar descriptions by clicking on the title, make a list, have several options, sign up for three time slots when you get to the Eventbrite registration site. It's gonna be a time (as they say in Newfoundland). Registration is open and early reports say some of the workshops/seminars are beginning to fill. If there is something of particular interest, it would be a good idea to register sooner, rather than later! We have some really interesting offerings in our schedule. Check out the website for details. This is just a taste of the seminars! We have scheduled some seminars twice because that gives people more flexibility in choosing what to take when. We have several seminars that are two-parters. If a seminar description says part I or part II you will sign up for both parts, which equal two seminars. Registrations includes three time slots for seminars. Seminars will take place at the Coast Inn of the North, the Courtyard Marriott, the public library (all of the seminars with Bob Keates will take place in the library all purpose room - due to the library open hours, the times are different for these), the art gallery, and at the Civic Centre. All facilities are within a two block walk, surrounding the plaza. All buildings are accessible and have air conditioning. The website has been updated, more rooms have been added to the hotels* for people coming from out of town and we are beginning to add more events - like a tea towel exchange. Tourism information is available on the website for any family members coming along who might want to see more of the country or do other things during the conference. Or if people want to come early or stay late to tour a bit. We suggest that people register sooner, rather than later, to make sure they get their first choices, but we have tried to get a broad range of seminars that will appeal to as many people as possible. The actual site of the conference is very contained, geographically - all facilities are within just a few short blocks of each other, all buildings are accessible with elevators to higher floors and air conditioning. It doesn't usually get very warm in June, but it can. We recommend dressing in layers because it can be chilly in the morning or later in the evening. The weather here hasn't been very co-operative with first a big dump of wet snow, then more snow, then the polar vortex wobbling and dumping us into the deep freeze. So we are really looking forward to spring and having people come up to enjoy some classes, juried exhibits (we have lots of cash awards coming in! ), fashion show, vendor hall, general socializing. The internet is great, but there is nothing like being able to talk face to face and touch the textiles. This quote is attributed to Greek philosopher Aristotle and suggests that a group of things is more effective than individual things. So it is with a conference. If you took one or two things at a conference, you wouldn't have the complete experience. To do it all provides so much more in terms of knowledge acquired, inspiration, creativity. Our theme Confluences references this concept in part, recognizing that textiles are made up of parts and only by bringing all those parts together do we benefit completely. Our workshop instructors embody our theme in their personal textile practice. And that's just our workshop instructors. We also have some that are doing seminars only. A conference such as ANWG offers every second year generally covers all of those listed above and sometimes others. The range of weaving alone can be further broken down to tapestry, or velvet, or draw loom. But it is rare you can find All The Things at any given conference unless it's a very large one. So we chose instructors and topics we felt would be interesting. Some are uncommon - like the workshop on spinning with a distaff. Some are more common, but not everyone can make it to every conference, nor may they have access to workshops. So again, we looked for a broad range of topics and skill level accessibility. But a conference is more than the scheduled events. It is also the social interactions that happen during the unscheduled times - meal time, coffee breaks, viewing the exhibits. This is the time people can put faces to names, talk to people face to face, connect at a deeper level. At times friendships spring up out of these chance encounters. Sometimes, it's just an inspiring story. Like the time I chatted with Dorothy Burnham and she shared how nervous she was at the thought of talking to 2000 fibre artists at the Convergence keynote in Toronto in 1986. I assured her that we were all 'family' - and she seemed to take some comfort from that observation because she mentioned that interaction when she began her presentation. I've never forgotten how she shared her vulnerability, felt the fear...and did it anyway. If you've never been to a conference, this one is a good one because it's relatively small and class numbers have also been kept relatively small. It is taking place in a small geographic area, in buildings that are accessible. The week of the conference is just prior to the summer solstice, so our daylight hours are long. On June 11 the sun will rise at 4:39 am and set at 9:41 pm. Our weather is generally temperate, but we suggest layers. Workshops are beginning to fill, so I hope people will take a look on the website, choose workshop/seminar topics that appeal, then go to the registration site and come join us for Confluences in June. Michelle teaches spinning for the Olds College Master Spinning program, plus workshops and for events like Plyaway. Tien recently launched her on-line class on colour and this may be the last in person event she will teach at. Janet has the popular Floor Loom Weaving class on Craftsy and teaches on both coasts of the continent. Maureen is a local artist, art teacher and fibre explorer. 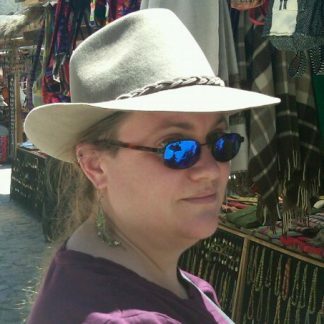 Abby is our keynote speaker and will be teaching how to weave on an Andean Backstrap loom. Alison will look at snowflake motifs and how to weave them. Fiberworks is one of the premier weaving software programs and Bob will bring participants up-to-date on this powerful program. Interested in colours from nature? Come explore dyestuff with Mary. Kim will take an in depth look at using a distaff for spinning. Syne wrote the book Inventive Weaving on Little Looms. Learn how versatile a rigid heddle loom can be to create unique designs by weaving the shibori stitchers. Coleen knows silk in all its variations. Learn how to create the special silk yarn you want. Fair Isle knitting is a perennial favourite in terms of versatility and colour combinations. Find out tips and tricks for working with multiple strands for pattern making. Not sure what to do with a long warp? Robyn will take the mystery out of changing things up. Warp one, wave a multitude of different fabrics. Huck has the potential for many different applications. Jane has been very busy with her on line guild and this may be the last in person teaching she will be doing. Laurie is well known in western Canada for her Nuno felting. She has a lot of information to share about this and other felting techniques. Bernadette will approach design through the traditional approach to Shibori. Diana is well known in western Canada for her work with spinning unique yarns. She will look at various ways to combine colours in fibre prep and spinning. Sarah has been researching historical textiles and has delved into how spinners made yarns to weave with. 18 workshops. 18 instructors as passionate about fibre as you are! We have kept class size as low as possible for the maximum amount of learning. Registration opened yesterday (Sunday, January 27) and if there is a workshop you really want, don't hesitate in signing up. The link is available on the conference website - it you don't see it, refresh the page. We dared to dream big dreams - of having people come to our town and plunge into fibre with us! And now the time is nigh - if you are not currently signed up to the conference website email contact list, you should go do that now. And check out the array of workshops (pre-conference) and seminars we have arranged for you. Now that we are at the stage of about to open registration, we have arrived at the list making stage. That stage where we make lists, check them twice, check with the instructors, check with the facilities. Details are where it is at and we are making sure we don't forget any! Or at least none that we can think about ahead of time. The announcement for registration will be going out very soon. We suggest you have your 1st, 2nd and 3rd choices ready for when you go to register. Our beta testers are reporting that the registration process is going smoothly so - fingers crossed - it will continue to be smooth for everyone. Also note that if you intend to fly, there are codes for both Air Canada and WestJet. (BC people may want to use smaller regional airlines.) If you plan on driving, both the Coast Inn of the North and the Courtyard Marriott have parking for their guests. Once at the hotel everything is in a short walking distance. Workshops and seminars will take place at the Civic Centre, Art Gallery, Public Library, and the Coast Inn of the North. Seminars will also be held at the Courtyard Marriott. Exhibits will be in the ball rooms of the two hotels as well as the Galleria of the Art Gallery. The author signing will be at the Courtyard Marriott while the keynote address and the fashion show will be at the Civic Centre. Both hotels have restaurant/food services. There will be a cafeteria style food service at the Civic Centre during the conference. There is a family restaurant one block away from the two hotels and many more restaurants, a craft brewery and fast food within a short walk. There is a Tim Horton's (coffee shop that serves soup/sandwiches) also a short walk away. Weather can be variable, we suggest layers. Come and enjoy our long summer days. Come early and take in the hiking trails, including the Ancient Forest if you want a walk in the woods. Stay later and go camping, hiking, fishing, boating. Check out the conference website for links to tourist information such as RV parks while you sign up for the email announcements. If you aren't on the conference mail update list, I'm pleased to direct you to the conference website for information on workshop/conference registration. There are also links to Air Canada (and hopefully WestJet in a day or two) for booking your flights, the Coast Inn of the North and the Courtyard Marriott where we have block booked rooms. Both hotels have parking for guests and you can share a room if you like or book for yourself at the conference rate. We have block booked rooms at the two main hotels on the plaza and where there will be conference events happening as well. The Coast Inn of the North is where some of the workshops and seminars will be happening, as well as the guild booths, while the Courtyard Marriott will have exhibits and some other events. The Coast Inn of the North is pet friendly and has a range of rooms available. The Comfort Double has two double beds and the maximum number of people is four. Two can stay for the same price as one. 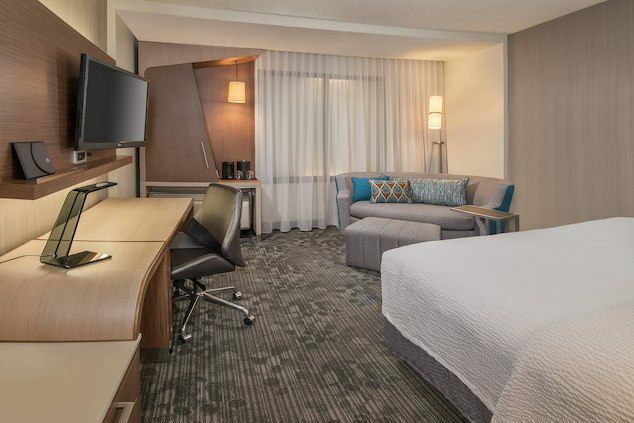 The Courtyard Marriott is the newest addition to the downtown for guest accommodations. They also have a variety of qualities of rooms available, plus special amenities like the only salt water swimming pool in town. Do let the hotels know that you are with the Association of Northwest Weavers Conference. The Courtyard link will get you to the appropriate place for their hotel. Both hotels are located on Brunswick Street overlooking the plaza and the Civic Centre. The Inn of the North has a Shogun (Japanese) Restaurant as well as Winston's Restaurant/bar. The Courtyard has a bistro in the lobby with a small but attractive area for food service. Both hotels have limited parking for guests. The hotels are holding rooms for the conference until the spring. For people flying in, these hotels are the closest to the conference site, and will have conference events as well. Across Brunswick Street is a Tim Horton's (coffee shop with light meals) and a White Spot (family restaurant serving breakfast all day as well as a good variety of entrees.) There are many restaurants within a five or so minute walk. We plan to have a list and possibly menus available at the Civic Centre conference registration desk. There is a craft brewery five minutes walk from the Civic Centre and a fruit winery about 10 minutes drive away. The airport is also about 20 minutes drive away and shuttles will take people to and from the airport to hotels for a modest price. There are two taxi companies as well, both of which routinely meet the flights as they come in. Last time I checked there were five flights a day by both Air Canada and WestJet. There are other smaller regional airlines which may or may not be useful, depending on where people are travelling from. Stay tuned by signing up for updates on our website. Information will begin rolling out regularly now. If you are on the mailing list at the conference website you should be receiving an email update very soon letting you know that the schedule of workshops and seminars is now available on the website. Go to the home page and click on Schedule and scroll down to see the full listing of all our wonderful instructors and the topics they will be teaching. The schedule also includes the number of seats in each. On the left hand side of the home page there is a button that will take you to the bios of all the instructors. We suggest you make your choices (with some alternate choices) and when the registration opens have your list and credit card ready. The site gives a limited time to make their selections and pay for the contents of their cart. You can register for the two day workshops, the conference proper, or both, all on the same purchase. All of the topics have live links to the class descriptions so do take some time now before registration goes live to make your choices. Happy New Year everyone! See you in June!!! We are working furiously on getting the details of the conference nailed down as accurately as possible. We have chosen our instructors from the textile community to share their passion with others. Several are authors of articles and books. Some are hosting on line classes. Some are better known than others. But each of them has a passion for fibre, yarn, cloth. They individually come to textiles from various directions but all are eager to share their knowledge with others. Seminars are tastes of their passion. We hope that people take the seminars as a way to broaden their knowledge and perhaps find new and intriguing things to discover. Many of us practice multiple crafts. Some of us might like to add one or two more. Or at least learn enough about something to point others in that direction when it is appropriate. We have 24 instructors. There are dyers, spinners, knitters, felters, weavers. Some braid, harvest fibres, grow dye plants. There is so much to learn, so little time to learn it. Conferences can bring a wealth of information and help individuals make valuable connections with others just as passionate about cloth, in all its various forms, together. For weavers we have weaving software and Bob Keates has been one of the leading software developers since the 1980s. Bob will lead a two day workshop plus seminars for Windows and Mac users. With the rise of the Internet, textile artists can sell their work online. Yoriko Oki will discuss setting up an Esty shop. Laurie Steffler will look at modern approaches to felting and how things like a microwave and pool noodles will make it go more smoothly. Tien Chiu will look at colour in weaving and accessing Internet tools. Maureen Faulkner will have tools for developing designs for your textile ideas. Leola McNie will discuss designing with intention. Seminars are a 'taste' of the topic. When you don't know how to do something, it's a good idea to find out what is available to help you get the results you desire. Remember that some seminars are four hours and labeled as Part I and II. You must take Part I in order to take Part II. Some seminars are likely going to be popular enough that we booked them twice. One of the things we wanted to explore was the confluence of cultures. We have a number of seminars where people will be able to look at how culture and textiles go together and hopefully come away with a better understanding of how different people have used textiles. Dr. Susan Pavel will bring a Salish loom and discuss stories of what textiles mean to various people. Sue Perron will bring voyageur sashes to life. These traditionally finger woven sashes were used for many things. Maureen Faulkner has been traveling the world and will share some of the textiles she has collected in her exploration of our wonderful planet. Alison Irwin will talk about Kumihimo and Pebble Weave. And of course our keynote speaker, Abby Franquemont, will talk about Andean textiles. Remember that seminars that have Part I and II in their description are four hours and to take Part II you have to also be in Part I.
Passementerie': Trimming of gold or silver lace, braid, beads, etc. Textiles can come in various forms - knitted, woven, braided. Sometimes all three! Narrow goods can be made on small looms, finger manipulated, crocheted, beaded. Passementerie is a term most often associated with drapery these days, but the term can be used for any trim. Robyn Spady will provide information on the various ways trims can be made, whetting your appetite for small projects that can be done with minimal equipment or woven on a loom. Nalbinding: An ancient technique that pre-dates knitting. There are various ways to construct cloth and examples of nalbinding have been found in tomb goods, most recently a brightly coloured 'slipper' made for a child in an Egyptian tomb. Elizabeth Schatz will introduce you to nalbinding, another way to create textiles. Ceinture Fleche': Sue Perron will talk about the sashes made popular by the voyageurs. These sashes were originally finger woven using brightly coloured yarns. They were used as kidney belts, and pockets, pipe and tobacco stored in the layers of the sash. eTextiles: Electrify your textiles with Syne Mitchell! Syne will discuss how to add things like LED lighting to textiles. Our seminars will hopefully cover everything from the ancient to the contemporary, showing that the thread of making cloth has never been broken, never been 'lost'! One of the things that units us is our desire to create. Some of us do that intuitively, some of us need to learn some hints and tips for helping us bring what we visualize into concrete reality. Tien Chiu, who will provide information on how colour works in weaving in her two day workshop Fearless Colour. Colour Explorations/Wild About Colour by Diana Twiss in her two day workshop geared towards spinners. Bob Keates will present his workshop on using Fiberworks for Multi-shaft Weaving. And artist Maureen Faulkner will do a two day workshop on design fundamentals for textile artists. Many of our instructors are well versed in many facets of the craft of creating textiles and in addition to the 18 pre-conference two day workshops there will be 76 seminar slots. Most seminars will be two hours - plenty of time to get a 'taste' of the topic and find out if participants want to pursue that topic further. We have scheduled some of the topics twice because we feel they might be popular enough to run a second time. Some of the seminars needed 4 hours so those have been scheduled in two seminar time slots, in the morning and then in the afternoon. In order to sign up for the afternoon session, people must first sign up for the morning session. These have been identified with Part I and Part II in their title. Our goal was to offer a wide ranging array of textile related topics. Our 24 instructors cover many different topics and we hope that everyone will find something intriguing. There are many ways to make a textile - knitting, crocheting, weaving, nalbinding, braiding, etc. Our workshops will look at some of those ways, and our seminars will look at others (more to come on the seminars in a future post). Jane Stafford will take a close look at huck in her two day workshop. Robyn Spady will introduce techniques for making a long warp interesting over its entire length. Alison Irwin has a two day workshop called Let it Snow in which she will illustrate how to sprinkle snowflakes as a motif on various weave structures. Elizabeth Schatz will introduce knitters to Fair Isle. Syne Mitchell will make rigid heddle looms sing with woven shibori. Janet Dawson's workshop Gamptastic will look at how a lot of information can be contained in one textile by altering threading, tie up and treadling sequences - all in the same cloth. Our key note speaker, Abby Franquemont's workshop on Andean Backstrap Weaving, will show how those intricate textiles are made on 'simple' looms. Laurie Steffler will guide workshop students through Nuno felting to make a scarf. Bernadette Thompson will do traditional Shibori Dyeing techniques. Last week I introduced some of our instructors and their topics. Since several of those instructors will also be teaching spinning, what can you expect? Michelle Boyd is 'technical' in her approach, appreciating the sciences involved in spinning. Coleen Nimetz will put silk under the microscope to discover the essential nature of the fibre and how to work with it in terms of creating a yarn from the filaments. Kim McKenna will focus on using the distaff as she presents information on how to work flax and wool. Sarah Wroot will hone in on how to create yarns to use in weaving. If you've ever wanted to go from sheep's back to your back, this might be the workshop for you! Diana Twiss's approach to creating yarn will be to explore how to create unique colours as the yarn is made. While Mary Lessman (also an Olds College master spinner instructor) will delve into dyeing yarn with natural dyes. One of the reasons we chose Confluences as our theme is how often the various techniques in the creation of textiles overlaps, informs and inspires us in our textile practice. Kim McKenna will explain how to use a distaff and discuss flax and other fibres that may benefit from the use of this tool in her two day workshop: The Distaff. Sarah Wroot will be looking at fibre characteristics in terms of spinning yarn to weave in a two day workshop called Spinning to Weave. And Diana Twiss will look at creating unique colours in her two day workshop Colour Explorations/Wild About Colour. We are presently working on confirming details of the workshops and seminars with the instructors. As soon as all has been worked through, the intent is to post the complete conference offerings, both two day workshops and the various seminars, to our conference website. We are accepting entries for our Fashion Show and Exhibits, and for the Author Signing Event. We have an online form for you to fill out for each event. If preferred, you can upload the Word Document version of the forms, and email it to admin@anwgconference2019.com. Are you an author, and want the opportunity to meet and talk to your readers? Here's your chance! The time and place is to be determined, but is tentatively scheduled for Thursday, June 13th at 6p.m. in the Civic Centre lobby. No sales will take place at the signing. We encourage authors to contact vendors prior to the event to see if they will be carrying your book. Conference attendees are invited to submit up to three items to the Exhibits. List of Exhibit Categories and Awards below. The Exhibits are "Open" but the committee reserves the right to not display any items based on having appropriate display equipment and/or space. Entries should be delivered to the Registration Desk in the Civic Centre before 4 p.m., Thursday, June 13, and may be picked up after 5 p.m. Saturday, June 15 at the exhibit room. We invite attendees to interpret the conference theme of Confluences individually or in conjunction to others. Please list the names and contact information for each person involved in the creation of the exhibit. The fashion show will be a modified "tea room" presentation. Each person will model their own garment (or provide a model to do so). The fashion show will have commentary, and each model will have a number which will be listed in a program. During the commentary, the model will mount the podium, then walk in front of the audience to display the garment. Models will be seated in front of the stadium, and once the show is completed, the models will retain their number so that members of the audience can talk to the model about their garment. There will be the opportunity for the audience and models to interact during the social time following the fashion show. This will allow the audience to see the garments up close, as well as from a distance. Are you are interested in giving us a hand with many of the front line and behind the scenes activities that make an extraordinary conference for the attendees? Volunteers are required throughout the Conference. Some volunteer opportunities include Registration Desk, Meet & Greet, assisting with Exhibits, Vendor and Guild booth setup/takedown and security, Tea Towel Exchange, Fashion Show and more. The Market Hall will be located in the Prince George Civic Center at 808 Civic Plaza. Market Hall move-in/setup – Wednesday, June 12th 2:00 pm - 8:00 pm & Thursday, June 13th 7:00 am - 12:00 pm. Take down/Move out: Saturday, June 15th after Market Closes or Sunday, June 16th morning 8:00 am - 12:00 pm. Cost: $400.00 per booth. A $100.00 deposit will be required upon acceptance of your application to reserve a booth and list your business on our conference website. Balance of payment will be required by April 15, 2019. Booths: will be 10‘ wide and 10’ deep with pipe and drape and will include 1 table, 2 chairs and electrical hookup. Central Display & Tents will set up booths and offer an exhibitor services program for any extra equipment or services needed. A package of information and contacts will follow your acceptance as vendor. WiFi is available through the Civic Centre office. Vendors are responsible for obtaining their own insurance. We will provide a separate space with tea and coffee accessible throughout the business hours of the market. If you have any questions please contact me, I look forward to working with you. We challenge you to imagine the pocket. And what it might contain. Enter your item in the Fashion Show or as an Exhibit. Getting here: Located at the crossroads of two major highways and two railways in British Columbia, Canada, it is easily accessible by train, air and automobile. Air Canada and WestJet offer a number of direct flights daily from Vancouver to Prince George. The "Skeena" operated by VIA Rail connects Prince George with both Prince Rupert and Jasper. Daily commuter flights to northern communities are serviced by Central Mountain Air. Where To Stay Whether you prefer hotels, motels, bed & breakfasts, campgrounds or RV parks we have many to choose from. What To Eat From fast food to fine dining, cafes, international dining, pubs and breweries, there is something for everyone. Things To Do Arts & culture, entertainment, shopping, outdoor & indoor recreation, parks & trails, tours and family fun, there is lots to do. Contact Us - Get on our mailing list! The Association of Northwest Weavers Guilds (ANWG) is an association of fiber arts guilds located within the Pacific Northwest United States and Western Canada. ANWG provides services and support to its Member Guilds with the idea that combining resources and providing an economy of scale, services can be provided that would not be possible for the individual guilds to provide on their own.